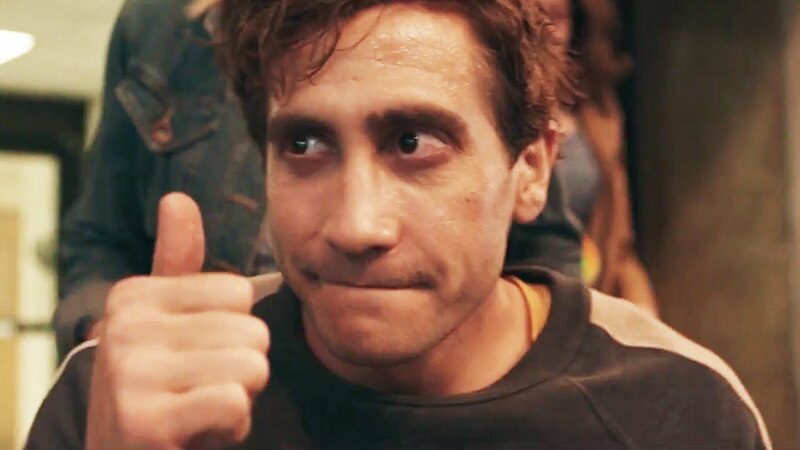 Following in the wake of Patriots Day (2016), Peter Berg’s excellent recreation of the manhunt for the Boston Marathon bombers, we have Stronger, a movie that focuses on one of the victims on that occasion, a Costco employee called Jeff Bauman (Gyllenhaal). Adapted from the book he wrote about his experiences after losing both his legs from above the knee down, Bauman’s tale is one of physical and emotional hardship, but most of all, how his relationship with on again, off again girlfriend, Erin Hurley (Maslany), made all the difference to his rehabilitation. It’s another true story of triumph over adversity, but while Jeff’s story – by itself – is inspiring, the movie itself isn’t quite as satisfactory. Biopics often have a hard time avoiding the clichés of the genre. In recounting the trials and tribulations of someone who has suffered greatly through personal trauma, there’s usually a list of stock situations to be worked through. Most of them adhere to the various stages of grief, and so audiences can almost tick off these stock situations as they go along, but while Stronger does its best to avoid these clichés, in doing so it actually robs the movie of a lot of what would involve the audience more. Sure, we see Jeff falling off the toilet because his centre of gravity is out of whack, and yes, he tries to push Erin away because of self-pity, and of course, he misses rehab appointments because he can’t motivate himself, but while these are all established staples, here they’re downplayed to the point where the movie runs the risk of feeling a little detached from its subject matter and main character. There’s a matter-of-fact approach adopted by director David Gordon Green that stops the viewer from fully engaging with Jeff and his struggle to walk again. Partly this is due to the way in which John Pollono’s script tackles the various stages of Jeff’s recovery. It always feels like a piecemeal attempt to tell a larger story, and while the focus on Jeff and Erin’s fractious relationship is to be commended, it doesn’t take long for the viewer to realise that without it the movie would be a lot shorter and a lot less interesting. Stripped of this central relationship, and once he’s lost his legs, the movie would consist merely of scenes between Jeff and his alcoholic mother, Patty (Richardson), a handful of other scenes featuring Jeff and his friends, Jeff being feted as a living breathing incarnation of the Boston Strong ideal, and further scenes where he’s told off for not going to his rehab appointments. All these are exactly the kind of things you’d expect to see in a movie such as this, and in that respect, the movie doesn’t disappoint. But there have been far too many other movies made along similar lines, and there’s not enough effort made to make this stand out from the crowd. Bauman’s story, however, is made more interesting through his relationship with Erin. Pre-bombing, Jeff isn’t the most committed of boyfriends, but Erin has always allowed herself to give him another chance after splitting up with him. The irony of what happened to Jeff isn’t lost on the movie, as the only reason he was near the finishing line when the first bomb went off, was because he was there to support Erin (who was taking part in the race), and to show that she could rely on him more than in the past. Their connection is strengthened by Erin’s innate decency in supporting Jeff through the days and months that follow, and also by his need to have someone capable of looking after him; Patty is a semi-functioning alcoholic who admits she hasn’t been the greatest of mothers. With his father, Jeff Sr (Brown), reduced to hanging around in the background the longer the movie goes on, Jeff leans on Erin quite heavily, and as the dynamic of their relationship shifts and changes, it’s Erin’s own sense of self-respect that allows her to make a decision that, along with meeting the man who saved his life, Carlos Arredondo (Sanz), helps Jeff to dig himself out of the mire of self-pity and self-doubt that he’s surrounded himself with. As Jeff, Gyllenhaal puts in another committed, powerful performance that sees the actor express Jeff’s confusion and anguish and dismay and anger at being placed in such a difficult position. However, his commitment to the role is hampered by the script’s determination not to make things too difficult for Jeff, as each obstacle he encounters is quickly overcome so that he can move on to the next – and overcome that one just as easily. If anything, this approach comes as something of a surprise, especially when it becomes obvious that Maslany’s portrayal of Erin is the movie’s strong suit, instead of Gyllenhaal’s portrayal of Jeff. It’s a career best performance from Maslany, who takes charge of the role and makes Erin the movie’s heart and soul. She’s simply mesmerising, and she finds new and different ways to make Erin more than the eternally supportive and self-sacrificing (i.e. stock) girlfriend that she could have been in other hands. In their scenes together, Maslany is so good that she’s always the focus and not Gyllenhaal; when the camera’s on him, you want it to shift back to her as quickly as possible. There are many elements that are allowed to play out without any resolution, and a lot of things that are left unaddressed, such as the marital status of Jeff’s parents (are they divorced, separated, taking a break? ), and though Green directs with his usual flair for exploiting emotional undercurrents, he’s not given too many occasions where he can do this. Certain scenes lack purpose – the script could have done with some judicious pruning – and there are times when Jeff’s family and friends seem present only to provide the movie with a sense of humour, but the overall problem with the movie is that its efforts to avoid the clichés of the genre don’t always work. And when you have a character who needs to learn to walk again but on prosthetic legs, and that aspect is reduced to a smattering of scenes, that raises another issue: just what is the movie’s focus if it isn’t that? Rating: 6/10 – neither great nor awful but somewhere maddeningly in between, Stronger cleaves to audience expectations of what is, in cinematic terms, a very familiar story, and only manages to deviate from it when examining Jeff and Erin’s relationship; good performances all round help to alleviate the feeling of déjà vu that pervades the material and which holds it back from being more effective, leaving the whole thing feeling like a missed opportunity, and a curious one at that. If you’ve seen the New York-based writer, performer and choreographer Okwui Okpokwasili then you’ll be aware of just how magnetic a stage presence she is, and how impressive is her ability to manipulate her frame in such a way as to give full expression to an incredible range of feelings and desires and emotions. In 2014, Okpokwasili performed her one-woman dance piece, Bronx Gothic, where she used a series of letters sent between two young girls in the Bronx – and her remarkable body – to illustrate how little one of them knew about her body, and how they were able to connect with each other. It was a tour-de-force performance, and is now the subject of Andrew Rossi’s latest documentary. Rossi, who also made Page One: Inside the New York Times (2011) and The First Monday in May (2016), goes behind the scenes of Bronx Gothic and examines the way in which Okpokwasili conceived and created the piece, and how she used elements from her own life in the process. This may not attract a particularly wide audience base, but it promises to be one of the more original and impressively mounted documentaries of 2017. And with Okpokwasili being such an incredible performer to watch, any chance to see her is absolutely worth taking. Following on the heels (no pun intended) of Peter Berg’s gripping Patriots Day (2016), Stronger tells the smaller scale story of one of the victims of the 2013 Boston Marathon bombing. Jeff Bauman (played by Jake Gyllenhaal) was caught in the first blast and lost both his legs. 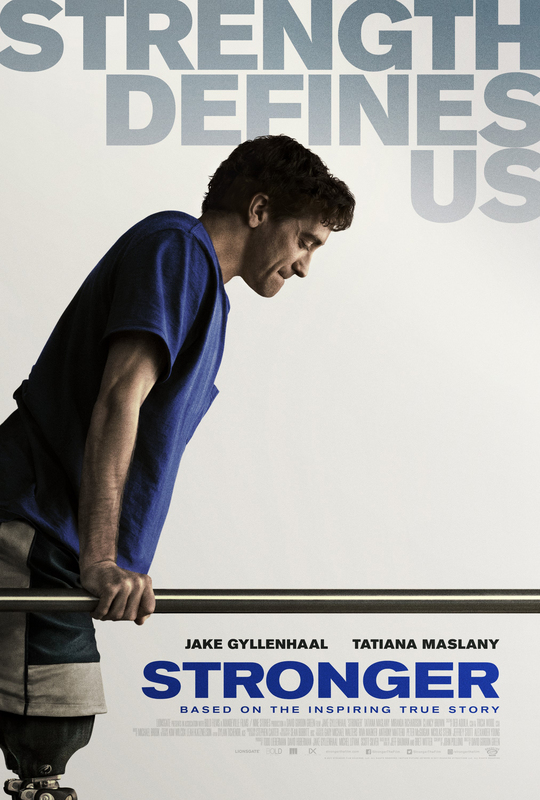 The movie, based on the book of the same name written by Bauman and Bret Witter, charts Bauman’s recovery and readjustment to life in the wake of the tragedy, and how his rehabilitation affected him, and his relationship with his girlfriend, Erin Hurley (played by Tatiana Maslany). 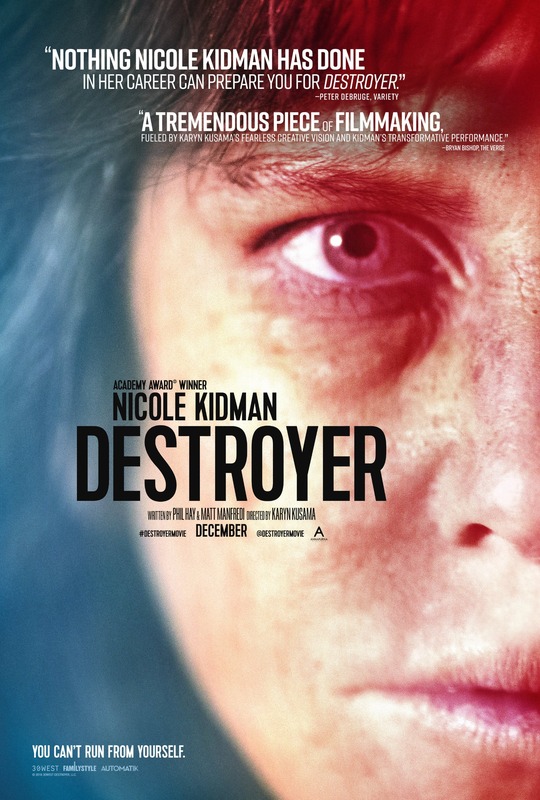 Without trying to denigrate or undermine Bauman’s efforts to learn how to walk again, and overcome the emotional trauma he experienced, the trailer for Stronger hints at the movie being a straightforward re-telling of Bauman’s struggle, and the trailer’s content seems to include all the clichés you’d expect, right down to the moment where Bauman cries, “I showed up for you!” Let’s hope then that director David Gordon Green has a tighter grip on the material than is evident from the trailer, and that Bauman’s story is given a better handling than what we’ve seen so far. When he’s not appearing on television or in the movies, Stephen Fry is also a well regarded writer with a string of successful books to his name. The Hippopotamus was his second novel to be published, and if you’ve read it then you’ll know that it’s ripe for a big screen adaptation (or a small screen mini-series). And at last that big screen adaptation is here, and for once, with the perfect choice for its lead character, disgraced poet Ted Wallace, in the form of Roger Allam. Allam’s crumpled features and unimpressed demeanour are a terrific combination for the part, and from the trailer it’s clear that the actor has the measure of the role and is also enjoying himself immensely. Whether or not the script will allow him to be the singular focus of Fry’s typically erudite comedy of manners remains to be seen, but if so then this could be the movie that provides a well-earned boost to Allam’s career. Let’s hope then, that Fry’s eccentric yet amusing novel has been given the adaptation it deserves.